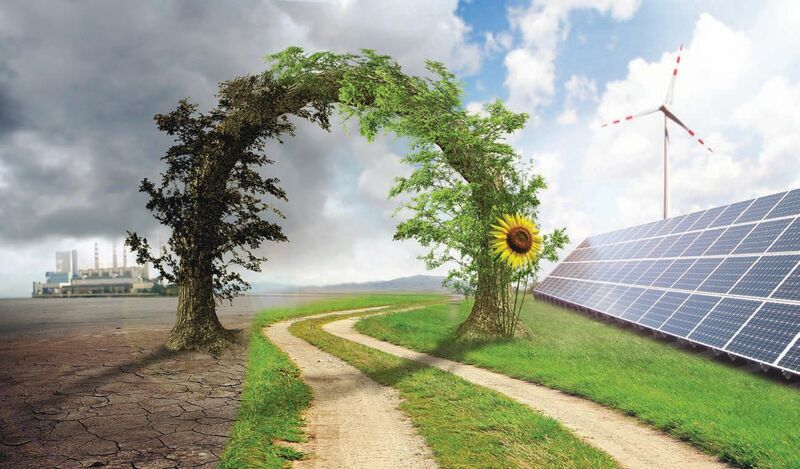 It seems that everyone is interested in wind turbines, an intriguing technology that converts the kinetic energy in the moving wind to useful electricity. Let’s look at the steps required to see if a small wind system (defined as up to 100 kilowatts in nameplate capacity) is in your future. Step 1: Examine why you want a wind system. Energy independence? Lock in future energy costs? Return on investment? Do your part to mitigate global climate change? 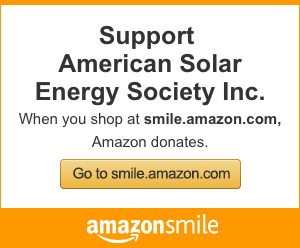 Support the renewables industry? Power an electric vehicle? Set an example for your family and community? Put your money where your values are? These are valid reasons for installing a wind turbine. Your goals will affect the system you choose, the amount of money you are willing to spend, and the time you are willing to commit to being your own utility. Step 2: Quantify the amount of electricity you use now. Most people put up only one wind turbine and they usually want it to generate the amount of electricity they consume over the course of a year. Cost-effectiveness changes with increasing size — the bigger the turbine, the more you spend on the installation, but the cheaper the cost of electricity will be over the life of the system. Matching the size of the system to your annual load maximizes the value of your investment if you can’t sell the excess. Step 3: Re-evaluate how you use electricity and why. 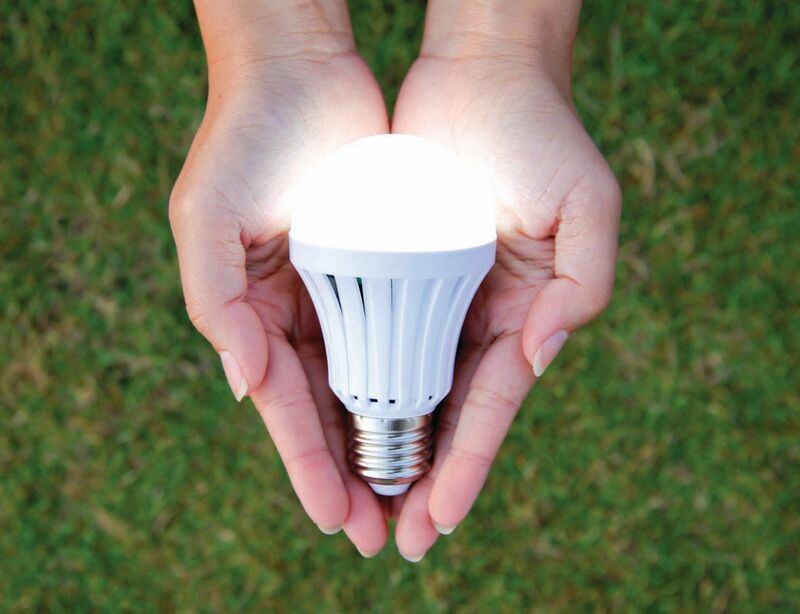 It’s always cheaper to save energy than it is to generate it, so streamline your consumption. The most cost-effective way is to alter your electricity-use habits — turn off lights in unoccupied rooms, mind the thermostat, put “vampire” electronics on a switchable power strip. But habits are hard to change. Investing in high-efficiency appliances makes excellent sense. The rule of thumb is that every $1 spent on efficiency saves $3 in wind system costs. Step 4: Determine how much fuel (wind) you have at your site. The best way is to hire a small-wind site assessor to evaluate your site and wind resource. This service may be available for a fee from a local wind installer, but be sure to shop around. You want an assessment of your wind resource, not a sales pitch for a particular turbine or manufacturer. Consider this akin to hiring a building inspector to evaluate a house you are interested in buying. The inspector’s job is to evaluate the condition of the house and report back to you so you can make an informed decision as to whether or not the house is a wise investment. During this process, the inspector represents your interests only, as should a wind site assessor, and present you with unbiased information to evaluate. Step 5: Determine the minimum acceptable tower height for your site. 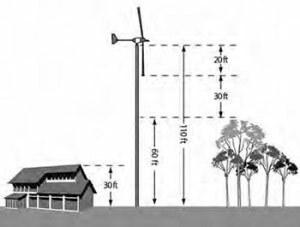 The rule of thumb for sizing a tower is that the entire rotor of the wind turbine must be at least 30 feet (10 meters) above any obstacles within 500 feet (150 meters) of the tower, or above the prevailing tree line in the area, whichever is higher. In most cases, trees will be the major obstacles that you need to clear. Keep in mind that you will have the system for 20 to 30 years, so you will need to estimate the mature height of the trees in your area, not their current height. While short-tower installations are rationalized as a way to save money on the system, the electricity generated is invariably a disappointment compared to the incremental cost of a taller tower. In addition, short towers mean that the turbine will be affected by turbulence. That not only reduces power production, it causes undue wear and tear on the equipment, compromises reliability, and shortens the turbine’s life. Step 6: Determine the best location on your property to site the tower, based on elevation above surrounding obstacles and prevailing wind direction. For best access to winds, the tower needs to be upwind, as much as possible, of the buildings and trees in the area. Other considerations include access to the site by excavating equipment, cement truck and crane. 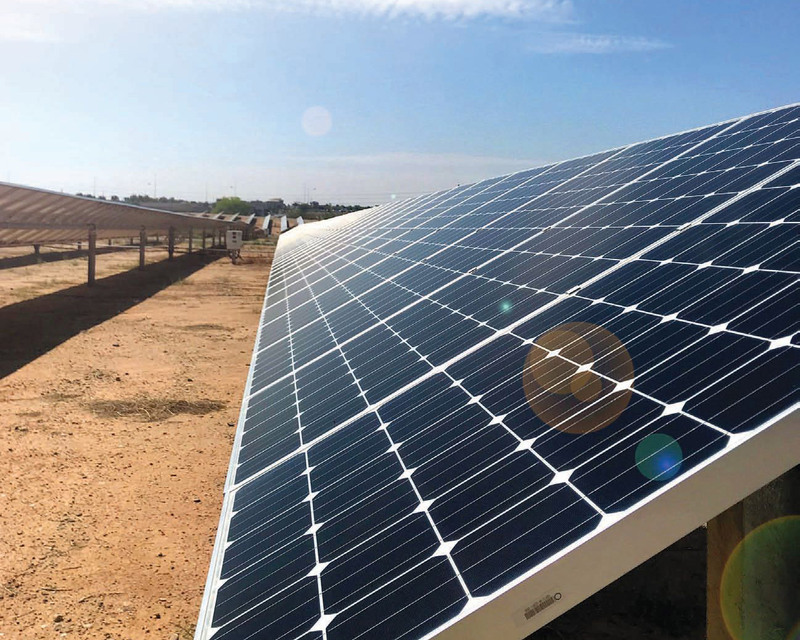 Putting the system close to the house may minimize the length of the wire run and save money, but if the close-in site compromises the turbine’s access to good, clean laminar winds, you’ll pay for it later in reduced power. Step 7: Research turbine options from reputable companies with a history. Be cautious about being the first person to buy a new turbine model or equipment from a new manufacturer. You want tried and proven equipment, not a “technology breakthrough” with no track record of performance and reliability. 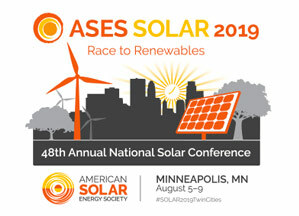 Check with the Small Wind Certification Council for turbines certified to the American Wind Energy Association (AWEA) Small Wind Performance and Safety Standard, or which have begun the process of certification. Step 8: When shopping, look for the turbine’s annual energy output (kilowatt-hours per year) at your average annual wind speed at tower height for your site. The “power rating” in watts is meaningless, because it’s stated for some specific wind speed you may rarely see at your site. Power rating says nothing about how much electricity you will generate, or how long the turbine will last. Wind power is collected and converted by the rotor, so the single most important characteristic of the turbine is its rotor size. A wind turbine with a small rotor can only generate small amounts of electricity. It won’t power your entire house or farm. Step 9: Shop for what you need, not based on cost. You need a turbine that will last for decades, generating electricity quietly and reliably. Shopping based on cost can result in the most expensive electricity you can buy, because it invariably leads you to an unproven turbine, an inexperienced manufacturer, a small rotor mated to a large generator power ratings, or a short tower. Step 10: Look for an installer with a good reputation, who has been in business for a while. Ask for referrals, including references from the turbine manufacturer the installer represents. Make sure to ask for several customers whose sites you can visit. A wind system is a major purchase. You want a qualified, experienced and dedicated installation company who is in small wind for the long haul. 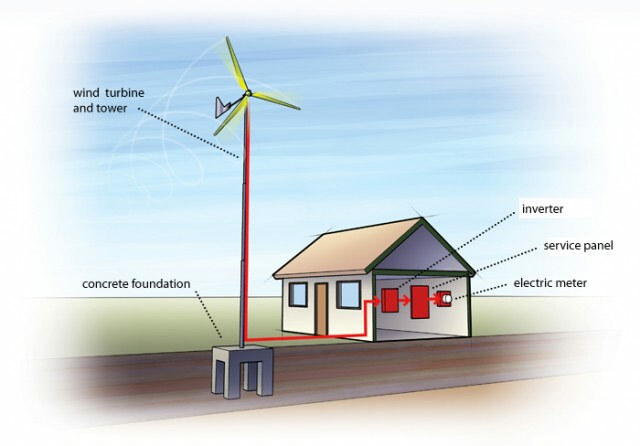 Step 11: Finally, remember that small wind turbines having moving parts that interact with all that nature throws our way. Any wind turbine needs periodic inspections and maintenance, and eventual repairs. This is where the installer and the turbine reliability become really important. A competent installer and quality equipment will give you decades of reliable service and electricity. If you cut costs on either, you’ll likely end up with a short-lived system. Mick Sagrillo, of Sagrillo Power & Light, is a small-wind consultant and educator. Contact him at msagrillo@wizunwired.net.